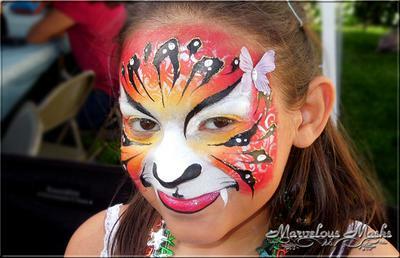 Marvelous Masks offers face and body painting services of the highest quality. You will not find a better blend of professional painting and speed around. 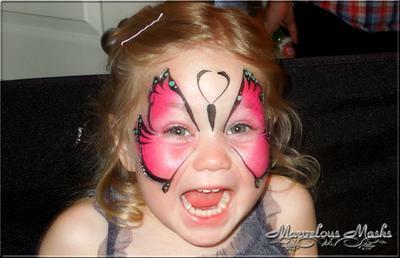 We cater our menus to each event to ensure as many people get painted as possible. We use only the highest quality of FDA Compliant supplies. 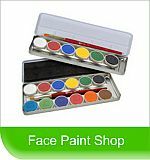 Our make-up does not stain and washes off easily. Although you may have to argue with your children to get them to wash it off. 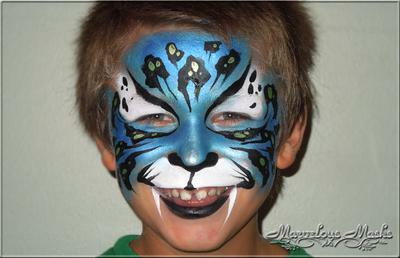 Marvelous Masks is perfect for all kinds of festive occasions, not just birthday parties. We do grand opening, family reunions, office parties, festivals, ladies night out events, body painting and pregnant belly painting. Basically, if it can be painted we're happy to be the artist.